…Boy this blog has been boring lately. Aside from the Fat Cat poll, I don’t even remember the last time I posted. Oh right, after the inauguration. Okay, okay… I admit I have been a bit lazy. So what the hell have I been doing with my time you ask? Not much. My sister came for a week-long visit with my 15 month-old niece. We’ve been chilling out in the house, getting takeout, cooking comfort food and eating leftovers. Nothing overly exciting. 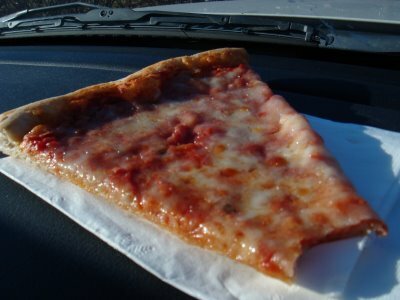 I’ve spoken in the past about the foods I miss most since moving to Boston 11 years ago. Pizza is number one… buttered hardrolls are number two. 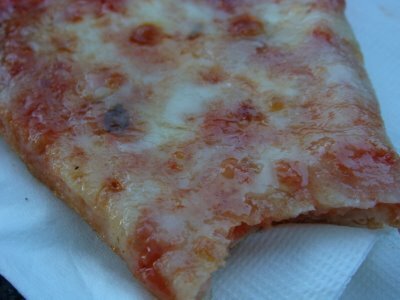 Just look at this thin (not crispy) crust, melted cheese and the best pizza sauce ever… ::sigh:: Why is it so difficult to duplicate this??? I posted about how my parents live in, well… an isolated area. 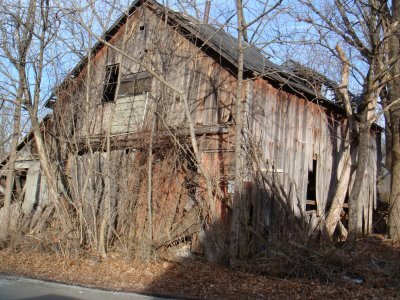 But no one seems to believe me that NJ has any isolated areas. 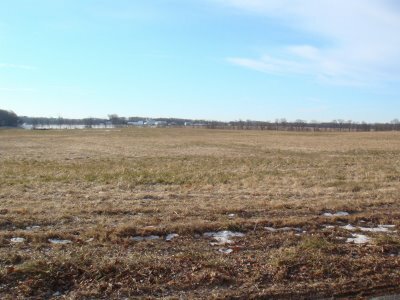 Don’t forget — NJ is the “Garden State” –hard to believe, I know… but nothing could be more true. 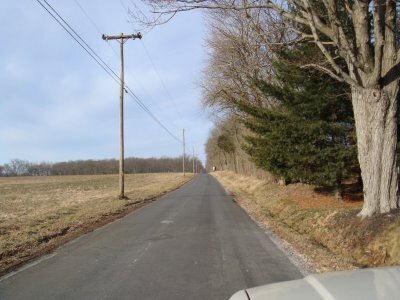 Just look at the view at the end of my parent’s road. That is a working farm in the back drop. See the red triangles on the back of those bad boys? They are there for a reason… know why? 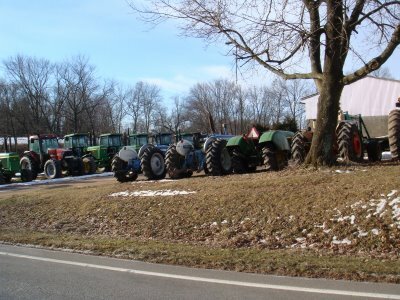 Because it’s commonplace to see tractors driving down the road. 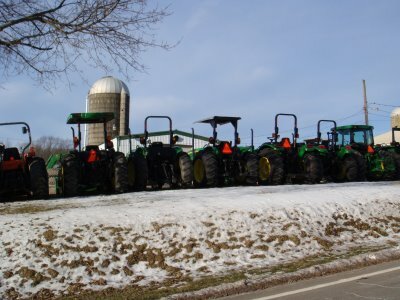 Like I said (and was backed up by a friend of mine via a comment on my blog)… my parent’s live in the sticks. And yes… it IS New Jersey. While down there for the one night, my sister and I decided to hit the local bar, which was a favorite haunt of mine when I lived down there. It hadn’t changed one bit. On an odd note… our bartender had the gross and strange habit of smelling every drink he made… including the empty glasses we handed back. Not an appetizing thing to watch. 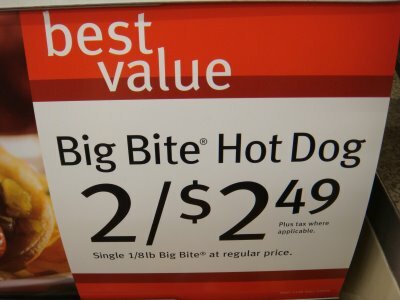 When I questioned him on it, his reply was “I was wondering what it tasted like”. It was a French Martini — nothing overly exotic. Had he never made a fricken martini before??? 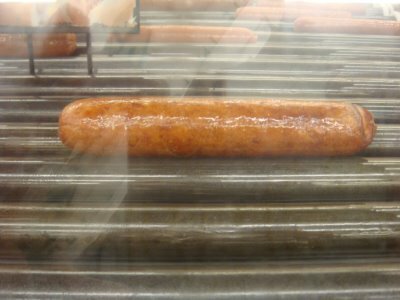 The local 7-11 hadn’t changed either, and was still the best place ever to go to drunk — when you are craving junk food. I was homesick, so I opted for a Boston Creme Donut. 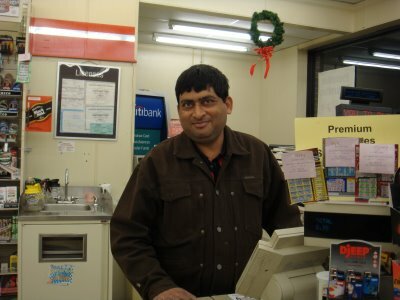 Alcohol does crazy things to people.. including making them think that taking a picture of the local 7-11 guy, Raveen, is a good idea. My excuse to him? “I write a Boston Food Blog… want your picture on it??! !” Obviously he did. 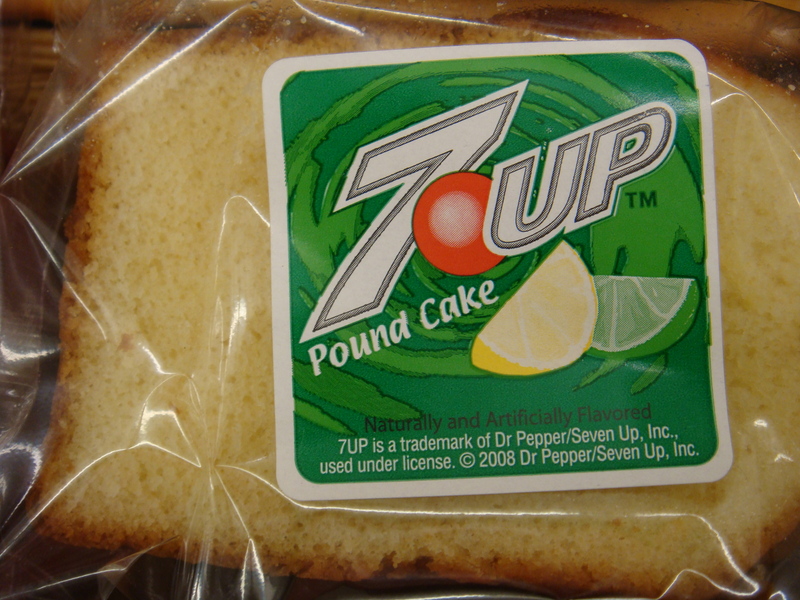 Though, the most interesting 7-11 fare by far, was the soda-flavored pound cakes. 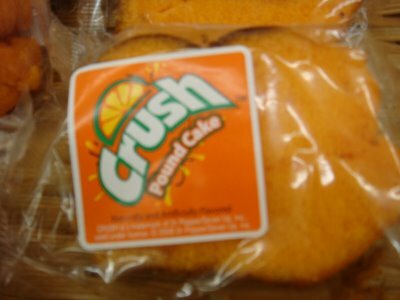 First I saw the Orange Crush Pound Cake — sorry that the picture was a little blurry…. 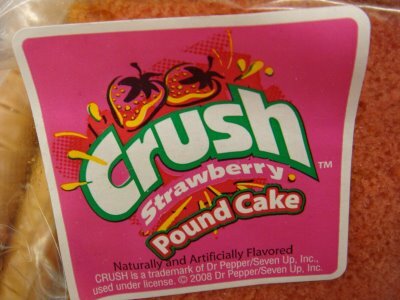 like I said, D..R..U..N..K.
Even more interesting… the Strawberry Crush Pound Cake. I’m not certain I’ve even seen Strawberry Crush before. The best though… was the 7-Up Pound Cake… and boy do I regret not buying a piece. I am very curious and will most definitely be grabbing one next time. Aside from that, no other interesting food notes from Jersey this time. We drove back up to Boston last Sunday and they headed home this morning — Superbowl Sunday (my least favorite day of the year — except for the gorgefest aspect of it)… so hopefully I’ll get back on track.